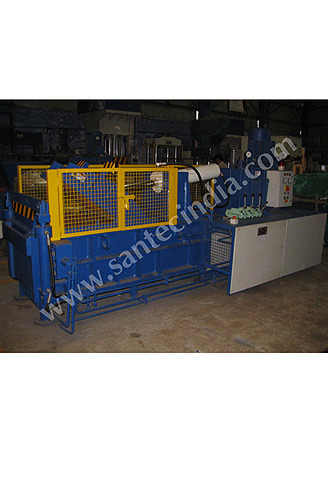 Scrap balers are used for reducing the scrap materials in two dimensions by using hydraulic force from two different angles. 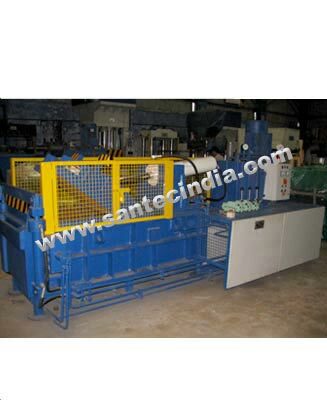 The bale density is slightly less than triple compression baler. 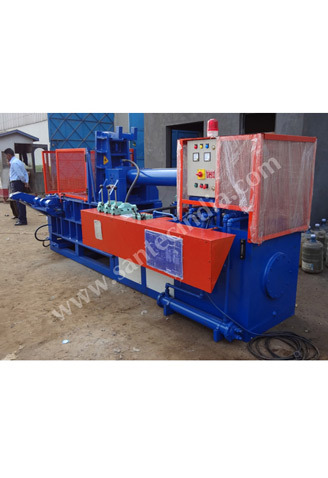 The balers has one cylinder fixed in horizontal position. 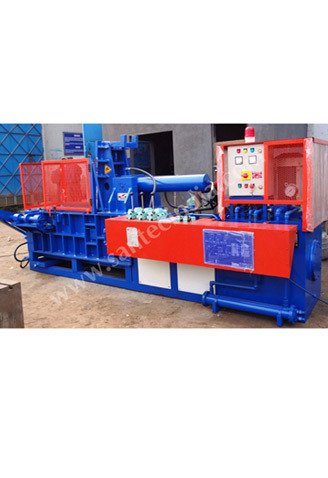 Vertical reduction usually take place by hydraulic pressure on the lid cylinder. 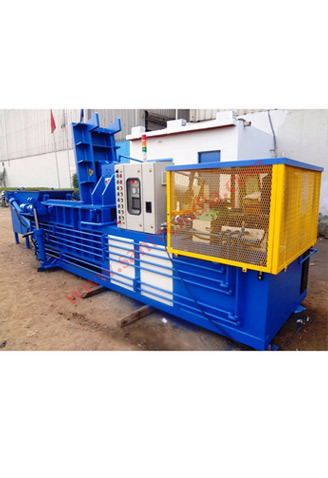 The horizontal cylinder presses the scrap against the ejection door of the baler. 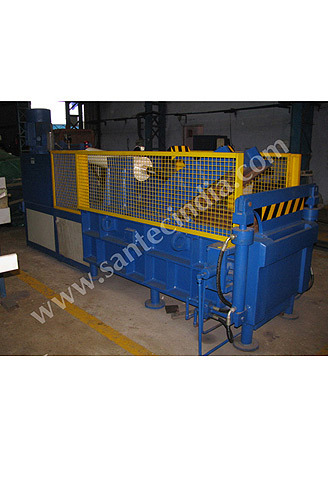 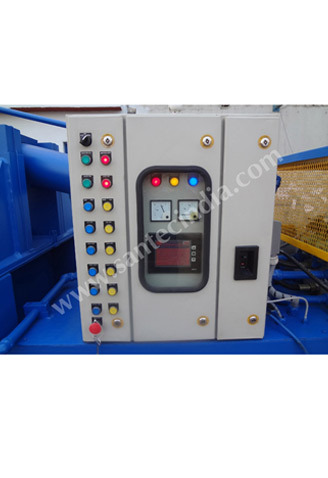 This door can be raised or opened hydraulically after the process of baling is complete. 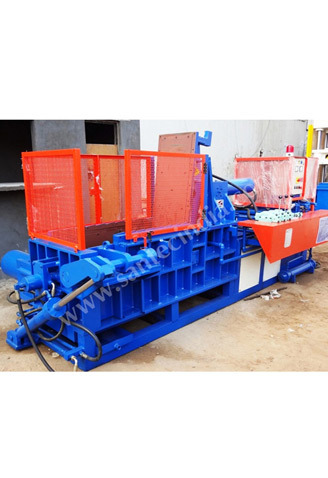 The scrap bundle is then removed from the chamber by horizontal cylinder. 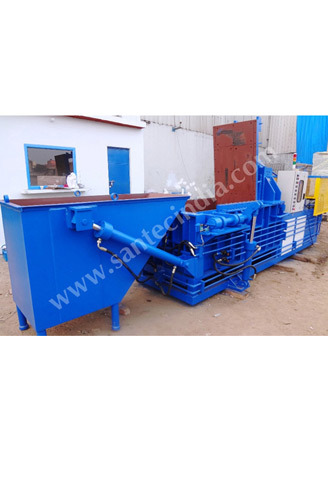 * Scrap Feeding Hopper can also be provided on customer's request.